The Decisive Moment: 1/365 Wedding Day! So it happened!! After all the planning and details! We are now husband and wife!! And I have decided to start another 365 project to document my first year of married life! So here we are at day number one! 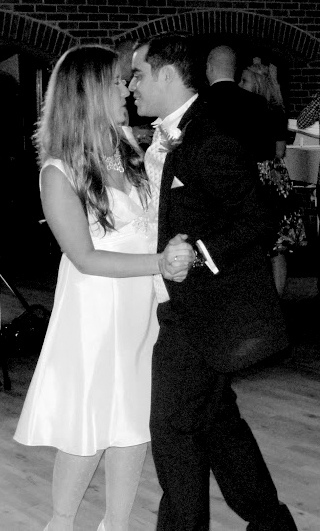 The top photo is just as we stood up for to walk out as Mr & Mrs for the first time, and then our first dance! It was a wonderful day! I enjoyed it SO much more than I expected - in that I thought it would be so much more stressful / hard work than it was, due to some wonderful wedding planners we had at the venue, I enjoyed every second! But I still can't believe it's all happened now!